Made with solid 14K rose gold settings, this Arya Star threadless end has the cute combination of pink and mint green gems. Made by Alchemy Adornments. 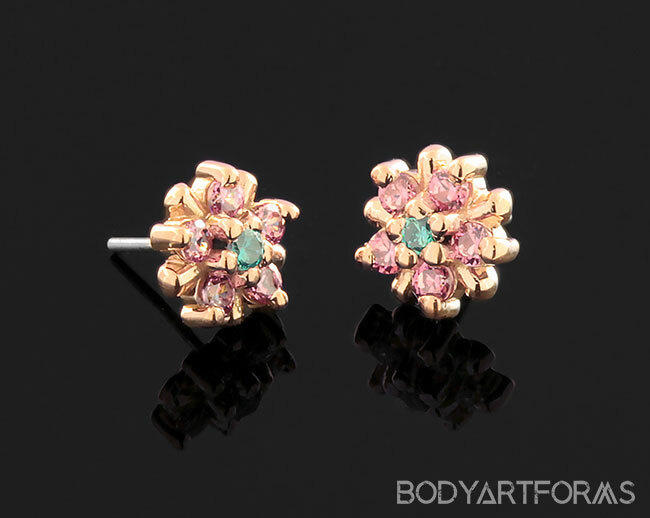 This end has pink CZ petals with a mint green CZ center. The settings are made with solid 14K rose gold. The CZ inlays measure 1.5mm and the external diameter measures approximately 5mm.